We had slept overnight in the village of Gilsland, about central along the wall. This was our base for the rest of the week and we had transport and a driver to take us to each start point and collect us in the evening. 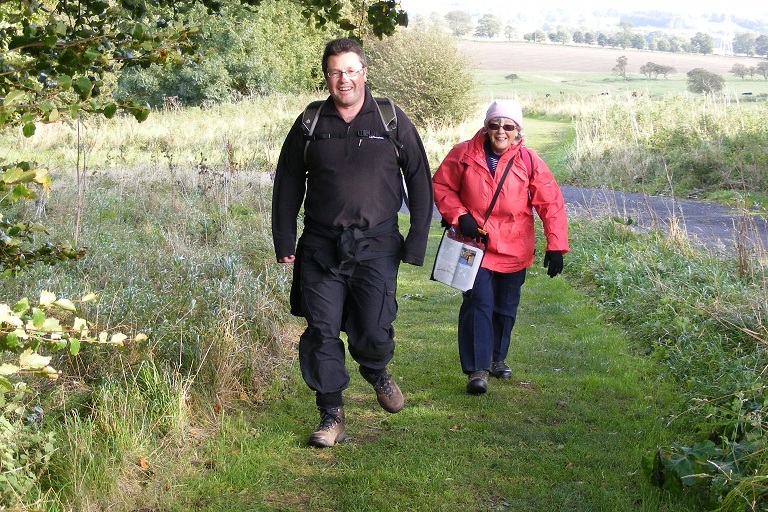 We set off from Heddon on the Wall at about 10.20am. Edwin, our driver, accompanied us for a short way and then returned to the car as there was shopping to be done and some sightseeing before the scheduled pick up at the A68 Portgate. During the morning Alex and Lia met up with us and accompanied us for the rest of the day. 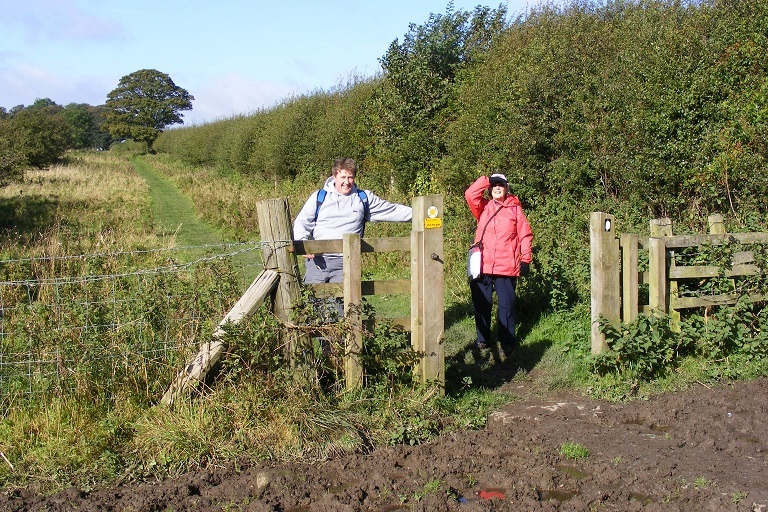 Portgate was reached early, so walking continued to Heavenfield (the site of a battle during the Anglo-Saxon period), a total for the day of about 13 miles. There is a good pub at Portgate and plenty of parking. Marcus and Elaine negotiating a muddy passage through a gate. The field before had been extremely wet and muddy. 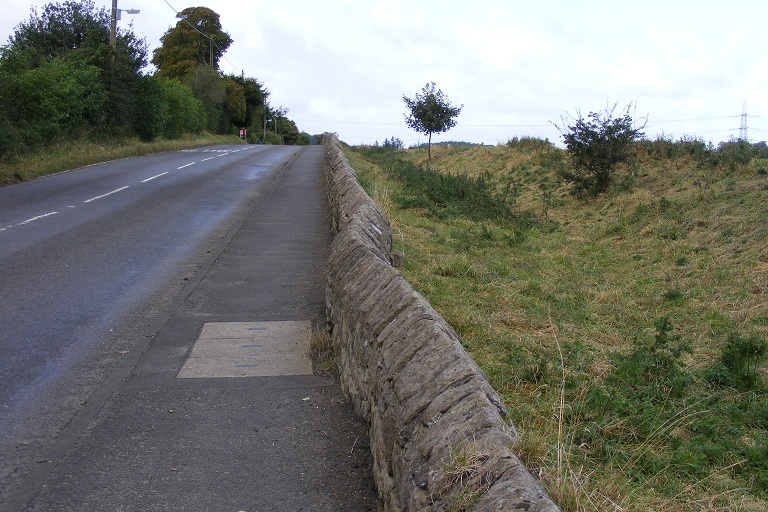 The road pictured is the military road built during the 1745 rebellion when the army demolished miles of the wall and built a road on top. Thus, when driving along one is actually on top of the remains of the wall. Notice the wall ditch on the right. The Vallum is off to the left. 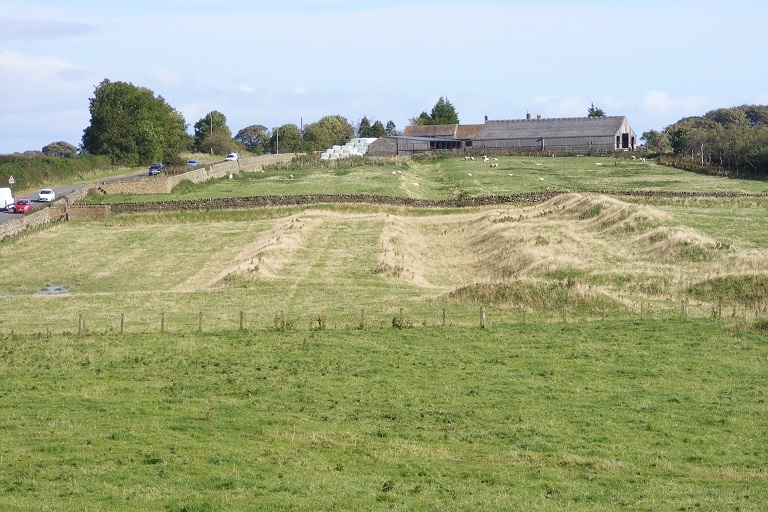 The third photo shows the remains of the Vallum near to Portgate. 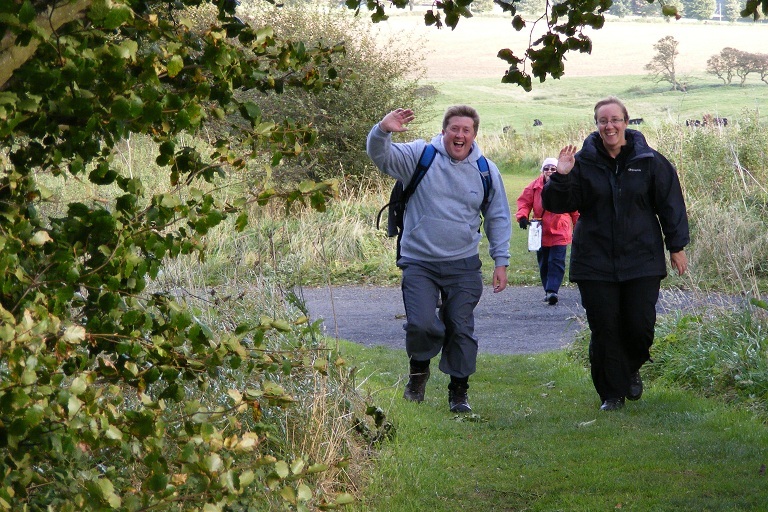 Marcus and Lia and Alex and Elaine arriving at Portgate, the A68 junction with the military road.